The extra tall size makes this mirror the perfect bedroom accent by enhancing both light and depth. 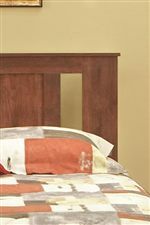 A rich cinnamon finished fruitwood frame comes with supports to ensure long-lasting durability. Place on top the matching cinnamon dresser for easy getting ready each morning. 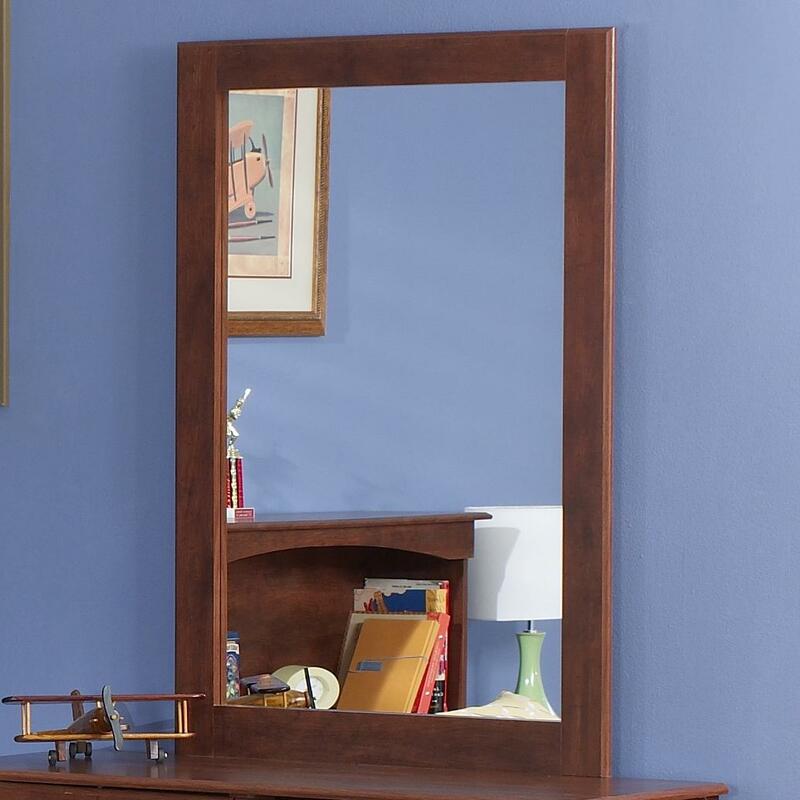 The 11000 Series Tall Cinnamon Portrait Mirror with Supports by Perdue at Sam Levitz Furniture in the Tucson, Oro Valley, Marana, Vail, and Green Valley, AZ area. Product availability may vary. Contact us for the most current availability on this product. 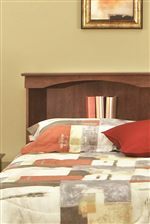 Warm your sleeping haven with this beautiful bedroom collection. 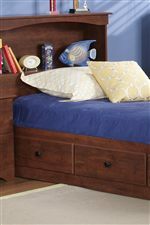 Featuring two different bed styles, and variety of storage pieces, this collection can easily furnish any master bedroom or child's room. Crafted in hardwood with a warm cinnamon finish, each piece exudes a rich, authentic air. Straight edges combined with scalloped base fronts and bookcase shelves lend to a modern yet charming style. Accented with dark round knobs adorning plenty of storage drawers to hold all of your bedroom items, this collection is a smart, functional choice that will keep your personal space clean and organized. The 11000 Series collection is a great option if you are looking for Casual furniture in the Tucson, Oro Valley, Marana, Vail, and Green Valley, AZ area. Browse other items in the 11000 Series collection from Sam Levitz Furniture in the Tucson, Oro Valley, Marana, Vail, and Green Valley, AZ area.